Accepting new patients now. Call to make an appointment. Finding a dentist in your area that is best suited to meet the dental needs of you and your family is important. We have years of expertise and experience helping patients of all ages with their dental care needs. Since our beginning in 1999, our expert reputation has been built on the highest level of dental care to attain optimal oral health with a plan to preserve it over the long-term. We are strong advocates for preventive dental care that includes routine dental cleaning and a thorough examination to avoid tooth decay. Regular checkups are the first line of defense against decay and damaging oral disease. Palmer Dental offers the latest advances in dental technology to provide exceptional care for a variety of family dentistry, dentures, cosmetic and implant dental services. We also have an on-site lab for a quick turnaround on full or partial dentures. This advantage saves our patients time and money when compared to traveling out of state. 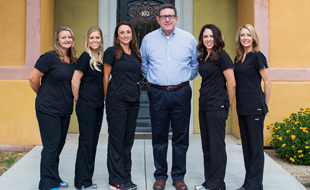 Our entire staff is is dedicated to providing the highest-quality dental care, in a warm, friendly, and relaxing environment. Dental implants offer many advantages for those with missing teeth. One of those is stopping gradual bone loss. Replacement of multiple teeth using teeth implants with individual crowns or an implant-supported fixed bridge provides functionality and a comfortable fit that may not be possible with other types of treatment. We have an on-site laboratory with quick turnaround of complete and partial dentures for our patients. This means you don’t have to spend hours driving out of state for you denture work! We offer a variety of cosmetic dentistry procedures, from professional teeth whitening to dental veneers, our goal is to transform imperfections and restore your smile and self-confidence! Oral surgery may become necessary for a variety of reasons. A simple tooth extraction is a routine procedure to remove a visible tooth. Wisdom tooth extraction, can also be the result of an impacted tooth completely entrapped under gum and bone. If you have damaged or missing teeth, a dental bridge or dental crown is an excellent solution to restore your natural appearance and smile! 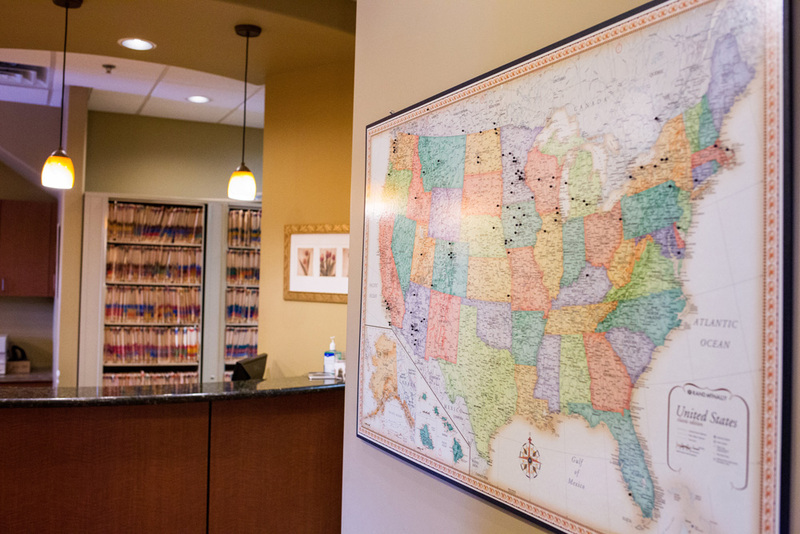 We offer assistance in helping you make an informed decision about your treatment options. A proper diagnosis for saving teeth is our first priority. We believe saving a natural tooth through endodontics should be the first choice for both health and cosmetic results. If a tooth has been infected, or there has been damage to the pulp (nerve) of the tooth, a root canal procedure offers the best method for saving the tooth. After Jim and I left your dental office we felt like we had struck gold!! We were very pleased with the customer care and service of Dr. Rodney Palmer and his team for our first visit. Thanks to all!!! This was the very best experience one could have! The staff and the Doctor were just excellent in all ways.They explained all my treatment needs and options in a very understandable way. At Palmer Dental we have a reputation for providing the highest level of patient care in a warm, comfortable and inviting setting with an almost boutique-style atmosphere. Services that will make your smile even more beautiful! 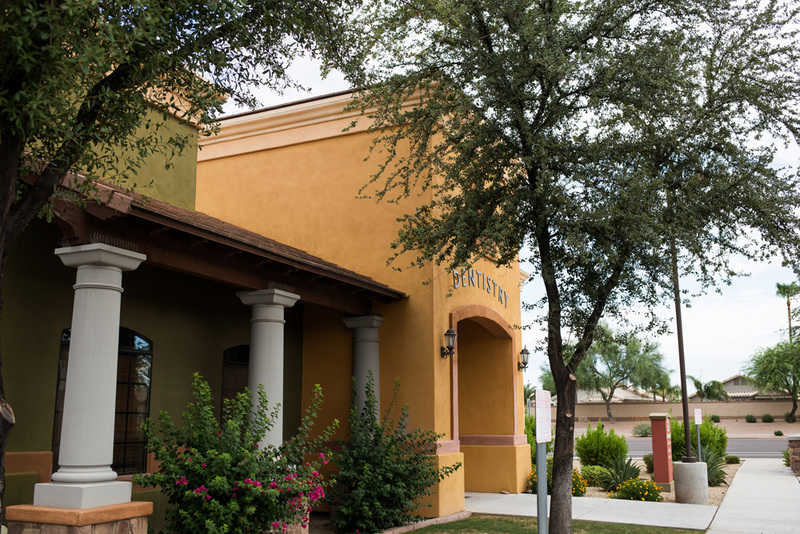 We invite you to visit our office to learn more about us and have a “Palmer Dental” experience. Call us at 480-757-0882 to schedule an appointment for you and your family! At our office, we provide dental services for patients of all ages. We have an associate in our family dental office that provides IV sedation for any dental procedure. Please visit our office or call to learn more about the gentle services we can provide for you and your family. Our patients often tell us, especially new ones, that their experience here is uniquely pleasant and positive. It is our goal to provide this type of experience for each patient at every visit. Having our own Denture Lab means your dentures or partials never leave the building for repairs and relines. Turn around times are much shorter and almost always can be done in a few hours (same day). We take pride in our promptness and seeing patients at their appointed times. We know your time is valuable.